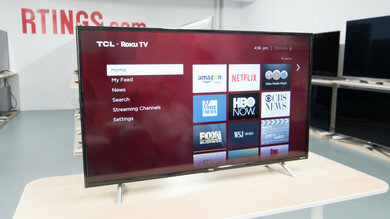 We've reviewed 11 TCL TVs. TCL TVs have shown to offer great value over the past few years. 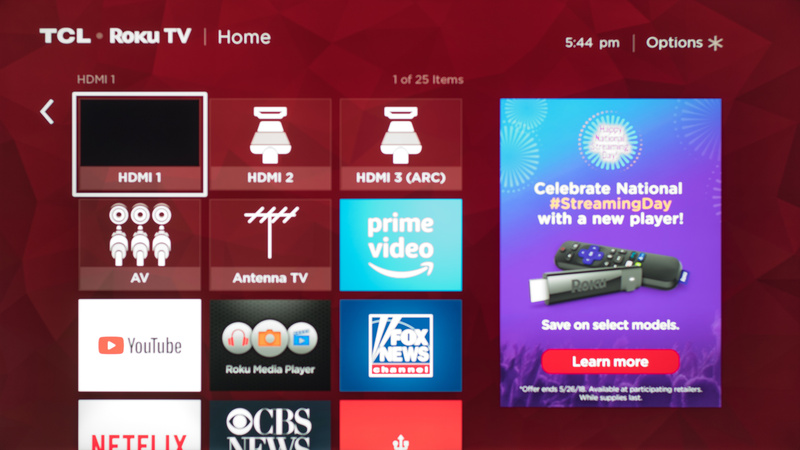 They're a newcomer in the space, but they came in with quite a strong splash by associating themselves with Roku for their smart features (check our article about the best Roku TVs). We made a few TCL TV reviews last year, and as they've shown popular, we will keep reviewing them in the future. Inexpensive. By far the cheapest priced brand we've tested this year. Most of them can be found for under $500. Great Smart OS. 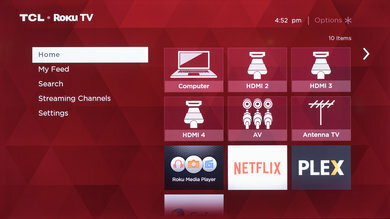 All TCL smart TVs use Roku TV. 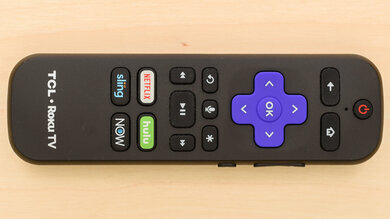 Roku is intuitive, snappy, fully featured and has all the apps most people want. Not Very Bright. With the exception of the TCL R617, most of the TCL TVs we've tested have below average brightness measurements. Not unusable, but might not be enjoyable in brighter environments. Below Average Viewing Angle. Even compared to other "small viewing angle" TVs, TCL TVs tend to perform worse. Compared to Vizio, TCL's lineup is a lot more budget-oriented. Their budget offerings are quite competitive, with similar picture quality. The Roku TV interface is better than Vizio's SmartCast. LG's lineup spans far and wide, and a lot of it is similarly priced to TCL. While they both offer excellent smart platforms, budget-oriented LG TVs will usually subpar picture quality compared to TCL TVs. They will do much better when viewed at an angle though. Overall, TCL's TVs offer good picture quality and great features at a low price. Most TVs in this price point show a definitive drop in performance compared to more expensive models. The best TCL TV we've reviewed is the R617 6-Series 4k LED TV. Its picture quality is a step above its competition, and it's also a great gaming TV with features not typically found in its price range. It offers great picture quality, and thanks to the excellent native contrast ratio and excellent peak brightness it is well suited for most rooms regardless of ambient light. There are some issues with gray uniformity and the viewing angle is very limited, so sports fans might not enjoy this TV as much. Like its predecessor the P607, it has excellent low input lag and great motion handling, perfect for gamers. Overall, it's tough to find a TV with better value today. If you don't mind the narrow viewing angles, the TCL R617 is the top choice in its price range. If you're looking for a fully-featured 4k TV on a budget, look no further than the TCL S405/425 S-Series LED TV. It's a great entry-level TV and it comes packaged with the excellent Roku platform. It's a step down over the R617, it isn't as bright and doesn't have the more advanced motion handling. Its overall picture quality is still quite good though, and it keeps the same low input lag and motion blur found on the more expensive model, making it a great pick for gamers on a budget. It has the same plastic build as the more expensive model, but it is to be expected of a TV in this price range. If you want something truly inexpensive that still has a great set of features, look for the S305/325 1080p LED TV. Its picture quality doesn't match the R617 above, but it can be found for significantly cheaper. This is the perfect model for those looking for a simple TV for a bedroom, since it doesn't get too bright, but it's still a better TV than the average one found at this price. Their remote and overall interface is identical to what you would find on the Roku set-top boxes, with complete 4k support which is unlike most of their lineup. 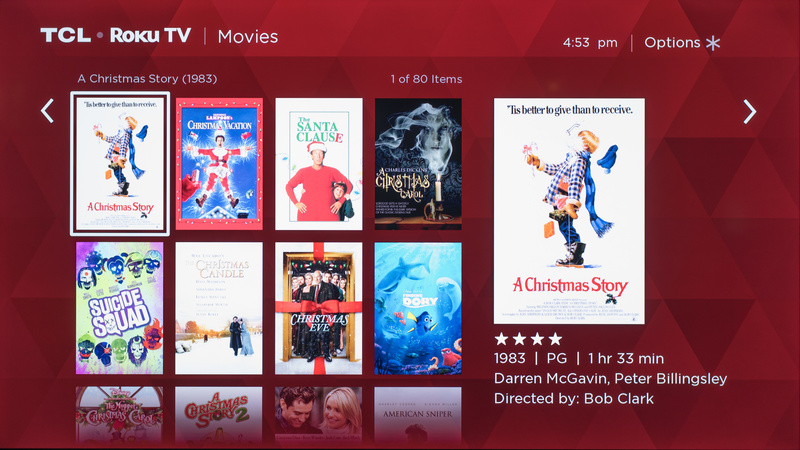 When you first boot up the TCL smart TVs, you're greeted with what they call the home page. Unlike most other manufacturers, TCL brings you straight to your inputs before anything else. Since the smart features are only one button press away, it's quite intuitive. Next up is the "my feed" page. It's an easy way to browse a lot of the content available on the platform across a multitude of apps. It aggregates everything that's available for free, to buy or to rent. 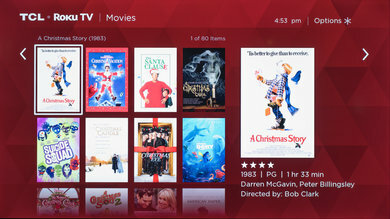 It also allows you to follow movies and shows and notifies you when they're available. The search feature works much like the feed, except user-driven instead of automated. 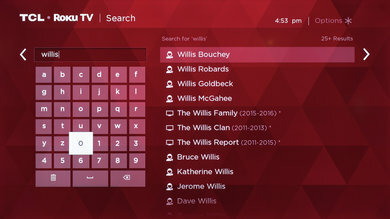 It allows you to search through all types of contents as well as find apps and channels in one go. For example: if you look for "Willis," it will find movies and shows containing that word as well as apps. Even within streaming apps like Netflix. Unfortunately, the TCL interface has large, intrusive ads in the main home menu, and it is impossible to disable them. The ads generally promote other TCL products or services, and sometimes contain suggested content. Then comes the Channel Store. This is where you'll find all the apps available on Roku, and there is quite a lot of them. All the big ones like Netflix, Amazon Video, HBO GO, and Hulu and many more are available. When testing out the USB playback, an issue arose. The TV didn't seem to recognize any of the USB drives we use. After further testing with different brands, we managed to find other drives that did work, but we couldn't find a particular reason as to why our specific ADATA drives had problems. In general, Roku provided a good USB playback experience. On models that support it, we had no issues playing back HDR files from an external drive. Unfortunately, there is no real Roku web browser available on the Roku system. You can get the Firefox app, but all that allows you to do is to sync with your Android phone and send videos to the TV from the Firefox browser on your phone, kind of like Google Cast. The TCL Smart TVs come with a remote you would think was mistakenly placed in the box. This isn’t a bad thing since it's very comfortable and responsive. 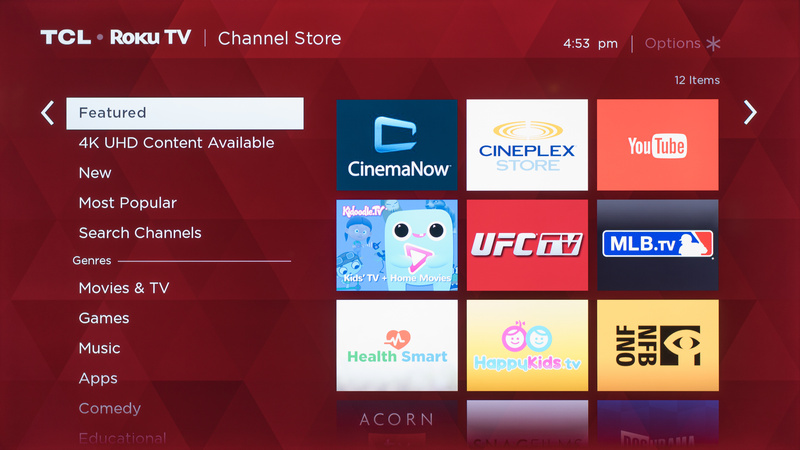 The TCL branding is impressively minimal and much like the interface, it’s a carbon copy of the ones you can find with the Roku boxes. 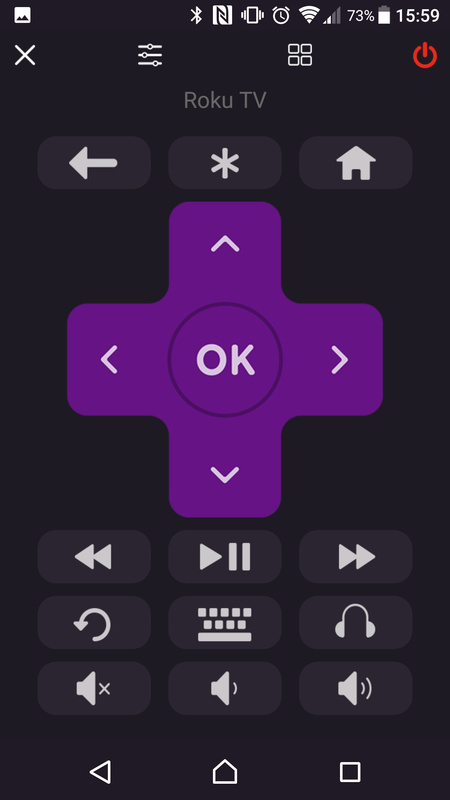 There are two versions of the remote. One is slightly thicker, and has an integrated microphone for voice control. 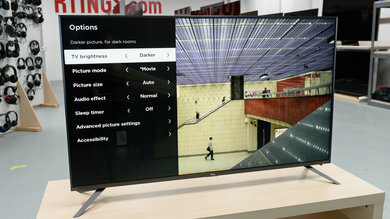 This model is found on the 2018 R617, and it doesn't require line-of-sight to the TV. The other model doesn't have voice control, and requires a direct line of sight to the TV. 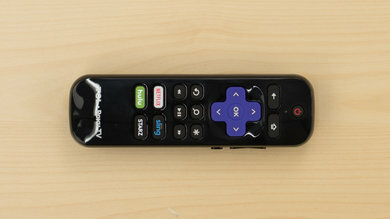 Older TCL TV's like the P607 had an advanced remote that has a headphone jack on the side of the remote. Newer TCL remotes don't have this. If you want the same features as the advanced remote, you can instead download the Roku app on Android or iOS and get all of them. 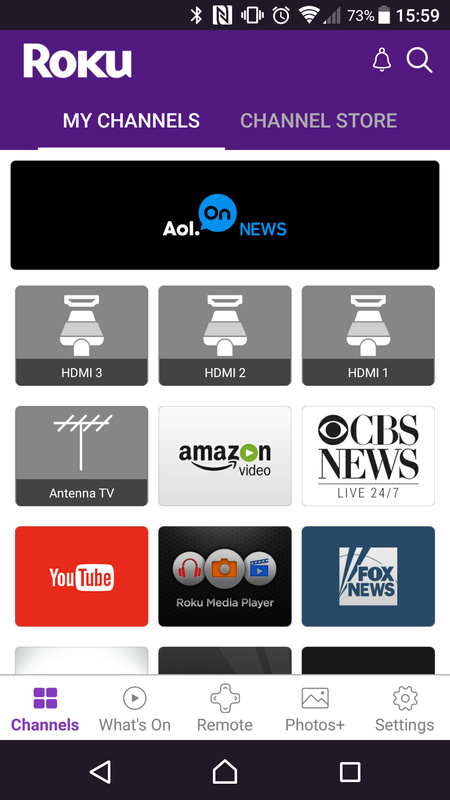 The app is responsive and connects to the TV very easily. The audio lag when using the private listening feature on the phone isn't noticeable, just make sure to keep a good Wi-Fi connection to avoid any issues. One of the best features of the Roku platform is its remote app you can find on both iOS and Android. It's capable of doing everything that the smart remote found with the P607 can do and more, so it's quite fully featured. As you can see, all the basic remote controls are available, even powering the TV on and off. You can plug in headphones to your device and listen to the TV privately through the app as well. 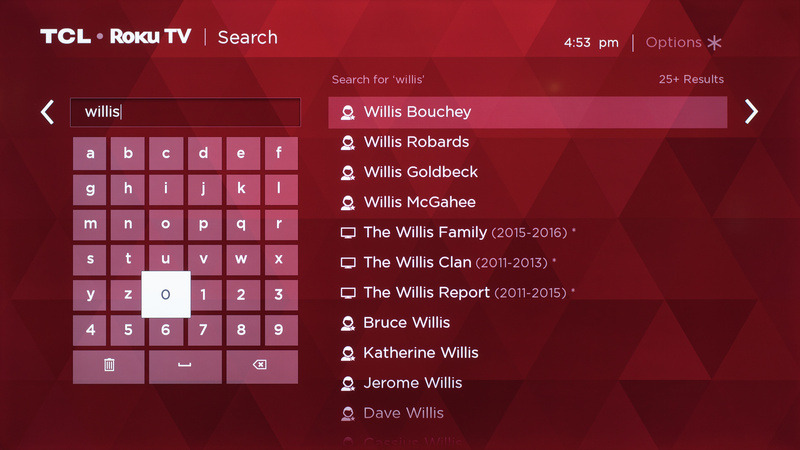 The app is also really great for searches and logging into apps since you can use your phone's keyboard instead of having to wrangle with the arrow keys on the remote. 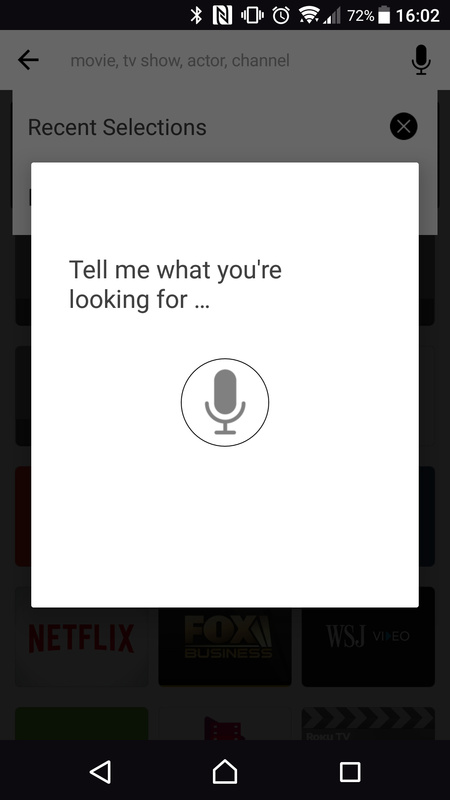 Much like the smart remote, you can also use your phone's microphone for voice search. Another faster alternative to fiddling with the directional controls to input text. 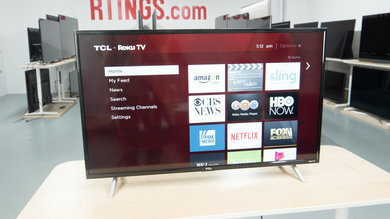 TCL's lineup is mostly budget oriented, and they do very well in that area. Their smart platform rivals the very best, which can't be said of TVs multiple times more expensive. Plus, their picture quality has been consistently good across their models. Overall, it's tough to beat them when it comes to budget TVs, and that makes them a pretty safe bet.